Description: 18-43 in. 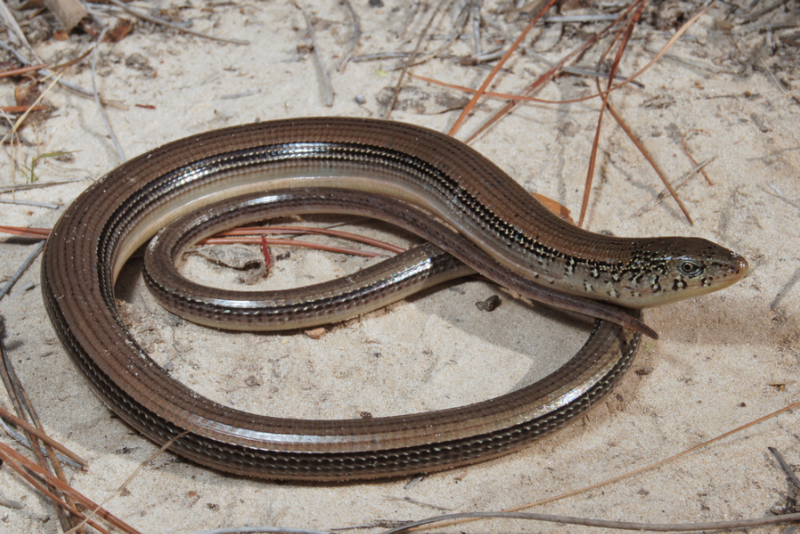 (45.7-108.3 cm) Eastern glass lizards have no dark lengthwise stripes below the lateral (side) groove or under the tail, distinguishing them from other glass lizards in our region. They also have no distinct dark mid-dorsal stripe. They do have white irregular marks on the neck and may be green above and yellow below. The young are khaki-colored and normally have a broad, dark longitudinal stripe on each side of their backs. 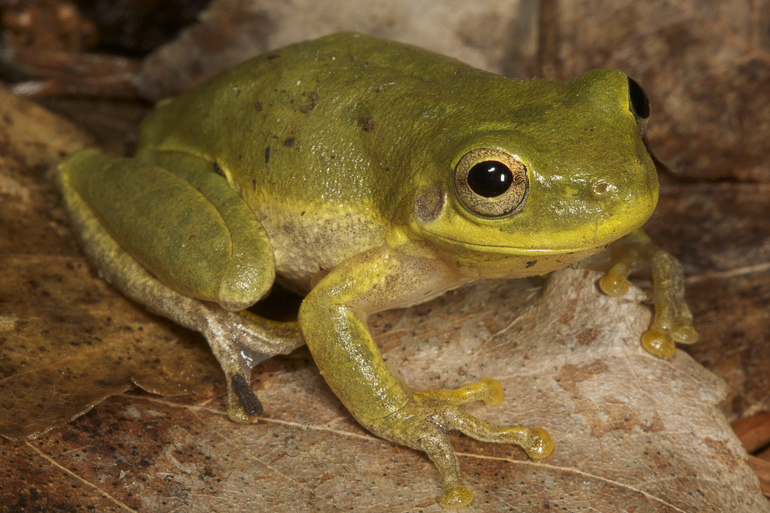 Older individuals may be heavily speckled and greenish above. Eastern glass lizards are usually found under some type of sheltering object and are most active during the day. Feeding/Diet: Glass lizards typically eat arthropods and other invertebrates. Unlike snakes, glass lizards do not have flexible jaws and thus cannot consume prey items as large as snakes of similar size. 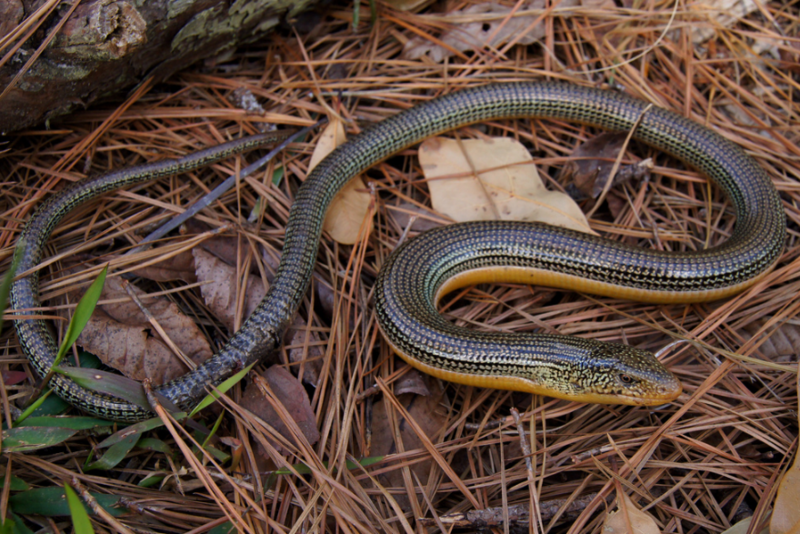 Habitat/Range: Eastern glass lizards are most commonly found in the Coastal Plain. They are common in pine flatwoods, sand dunes, and other sandy habitats and are often found around wetlands. 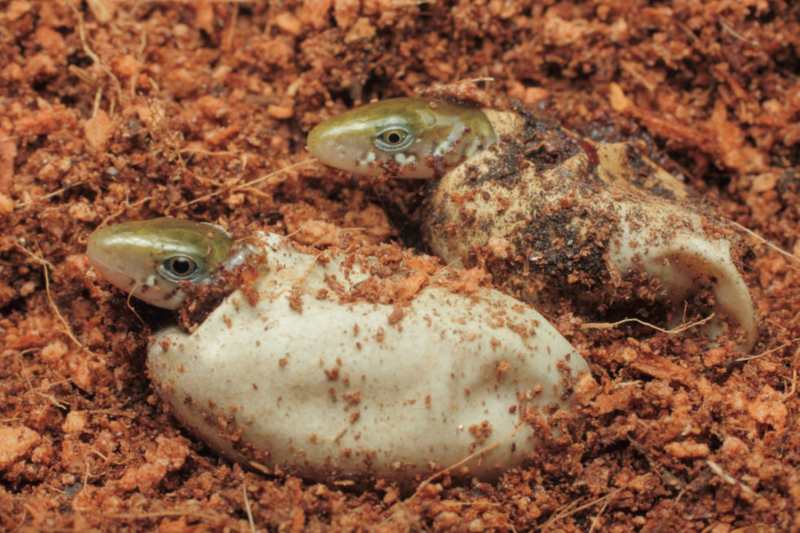 Reproduction: Eastern glass lizards mate in the spring, and lay eggs in June and July that hatch in August and September. The female will usually guard the nests which are found in sheltered depressions, usually under a log or other cover object. Miscellaneous: The eastern glass lizard is a legless lizard and is often mistaken for a snake. However, unlike snakes, eastern glass lizards have movable eyelids and external ear openings. 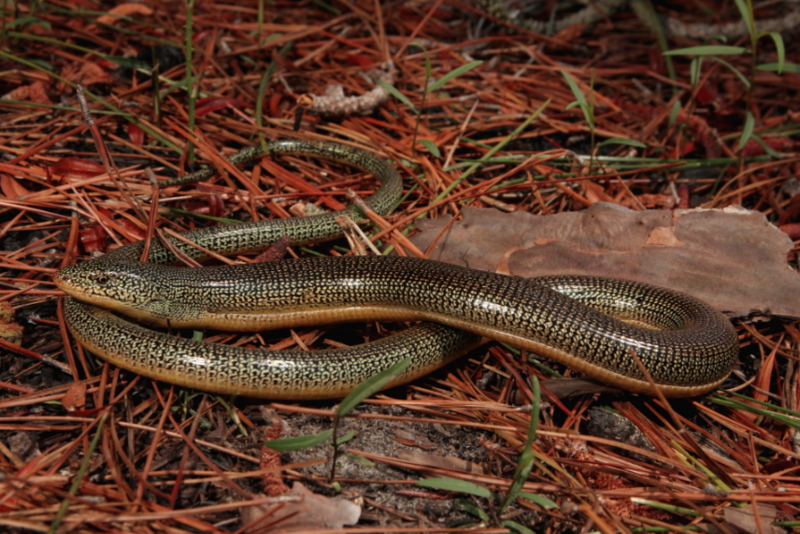 When restrained, eastern glass lizards often thrash and break off their tail. This propensity to “shatter” is the origin of the name glass lizard, and adults with perfect tails are rare. Once detached, tail fragments continue to writhe for several minutes, distracting predators and allowing the lizard to escape. The tail later regrows. 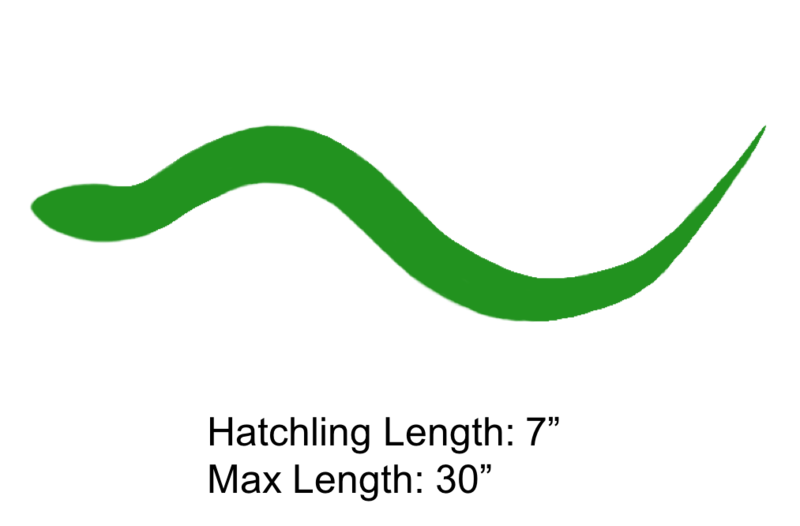 The shaded region represents the range of the Eastern Glass Lizard in North Carolina.